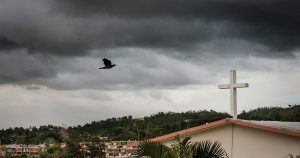 The LCMS has been working in Puerto Rico since the 1990s, with work begun by the Ohio District in the western city of Mayaguez. This third largest city in the US commonwealth of Puerto Rico now has an established congregation, Principe de Paz (Prince of Peace) with its own facility and affiliated mercy house. In 2015 The LCMS began intentional mission work in the commonwealth. Two missionaries were sent to Mayaguez, with one of them eventually relocating to Puerto Rico’s second largest city, Ponce. In 2018 a new congregation, Fuente de Vida (Fountain of Life), was established there in Puerto Rico’s second largest city. The LCMS is currently supporting an extensive disaster report effort in the commonwealth. This effort includes the sharing of the Gospel and the strengthening of both existing congregations through the work of pastors, deaconesses, GEO missionaries, short term teams, and lay workers.